The US had initiated investigation against Infosys and its larger rival Tata Consultancy Services (TCS) for possible violations of H-1B visa rules in June. India's second largest software services firm Infosys on Tuesday said the US government has found no visa violations after a probe that began in June this year. "Infosys is pleased to report that the US Department of Labour (DOL) concluded its investigation with a determination of compliance regarding labour condition applications filed in the Southern California Edison project," it said in a statement. Infosys fully cooperated with DOL in its investigation, and over 145 files were reviewed, with no violations found, it added. Response from TCS on the matter is awaited. Often used by information technology (IT) firms, an H-1B visa is a non-immigrant visa that allows US employers to temporarily employ foreign workers in speciality occupations. Indian IT firms are among the biggest recipients of H-1B visas as a significant chunk of revenues for the Indian outsourcing industry comes from the US. "IT services companies like Infosys provide superior service, skill and scope from global centres of excellence, bringing value and technology innovations to enable American companies to be competitive and succeed," Sandeep Dadlani, EVP and head of Americas, Infosys said. Infosys continues to actively recruit and hire talent in the US, but while there is a shortage of technology skills, Infosys is a responsible participant in the H-1B programme, he added. "We do not practice or condone unfair or unethical H-1B visa practices. Our key priority is to operate fairly, ethically and with integrity, which is good business and what our clients expect," Dadlani said. 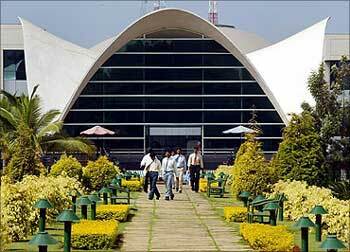 Infosys shares were trading at Rs 1,065.65 apiece, marginally higher from Monday’s close on the Bombay Stock Exchange.